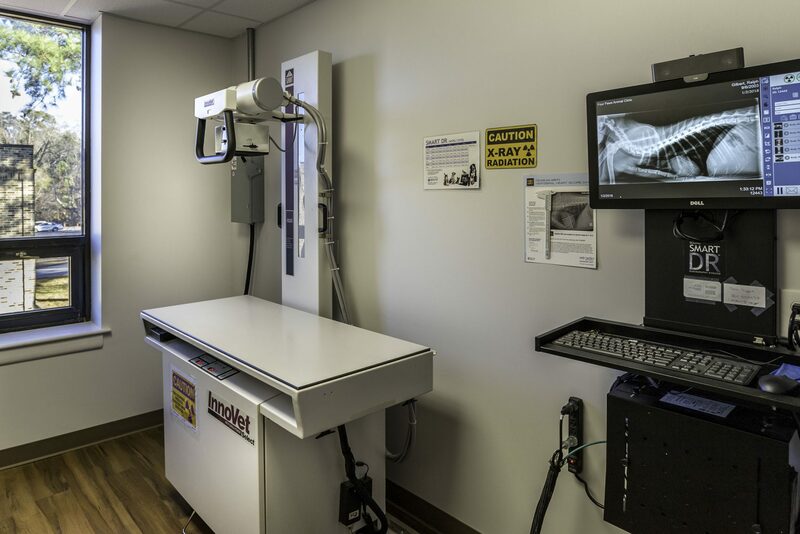 Providing quality, compassionate veterinary care since 2009. 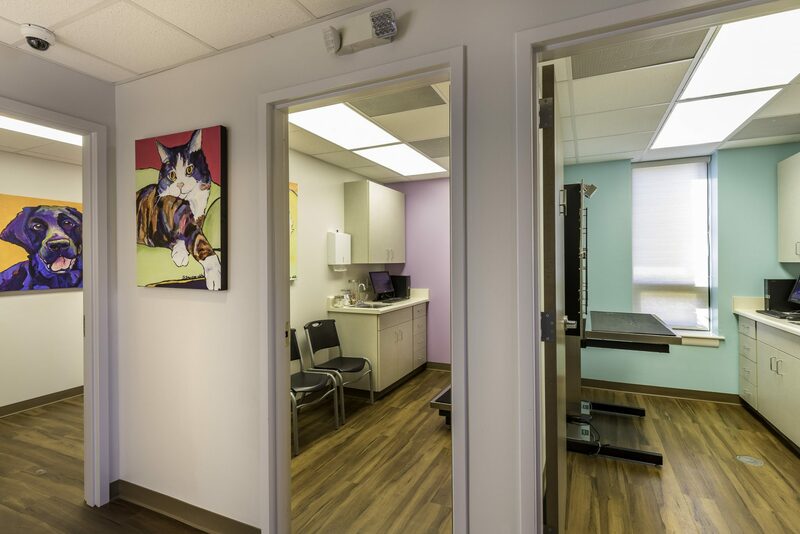 Four Paws Animal Clinic is committed to providing exceptional healthcare for pets and to helping the people who love them make informed decisions regarding their health. Our goal is to help pets enjoy longer, healthier and happier lives. Drs. 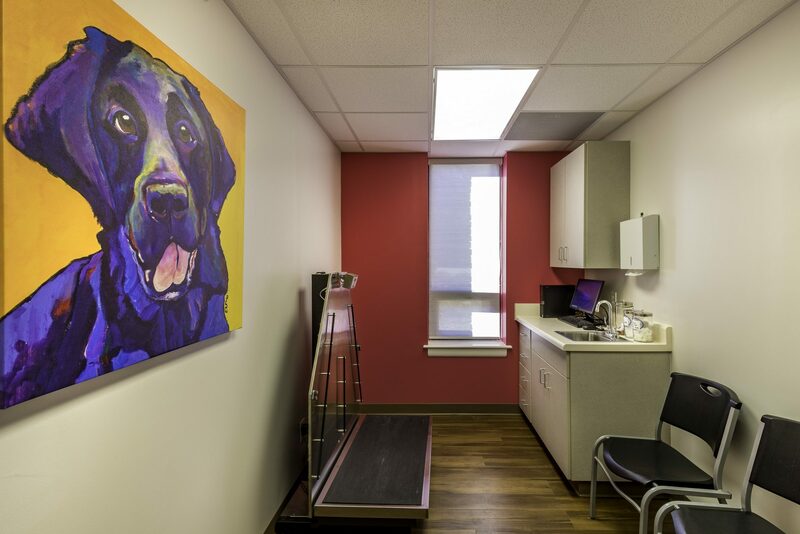 Tracy Wales and Nori Warren developed the concept for Four Paws Animal Clinic in 2008. After practicing together for more than 10 years the two shared a desire to return to practicing medicine the old-fashioned way; on an individual patient basis. 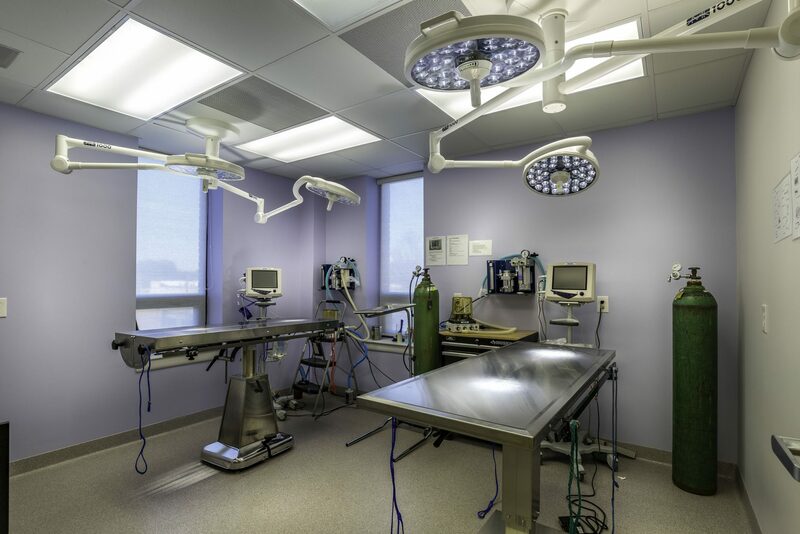 They didn’t want their way of practicing medicine to be hindered by quotas and benchmarks, or by high prices that prevented clients from obtaining care for their pets. 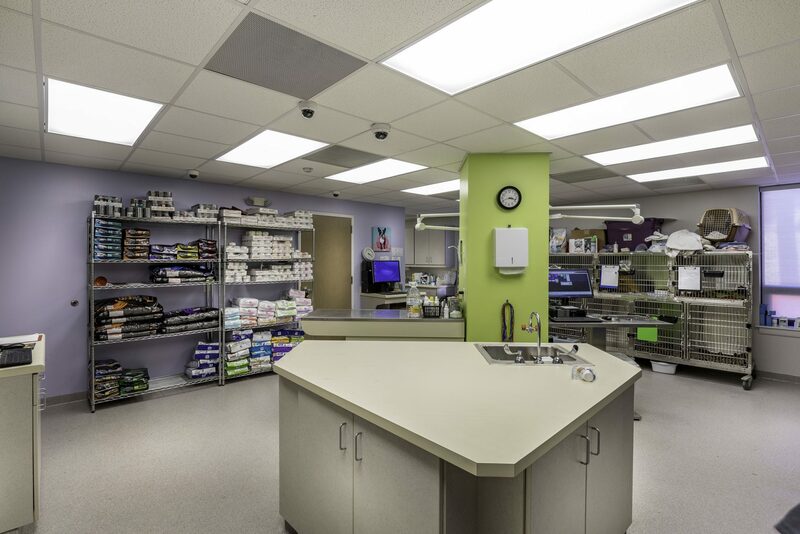 Four Paws was created to provide high quality medicine at affordable prices. In addition, they wanted their doctors and staff (and themselves) to have quality time outside of work, to spend with family and friends and to enjoy other activities. To do this, they limited themselves to only practicing veterinary medicine. 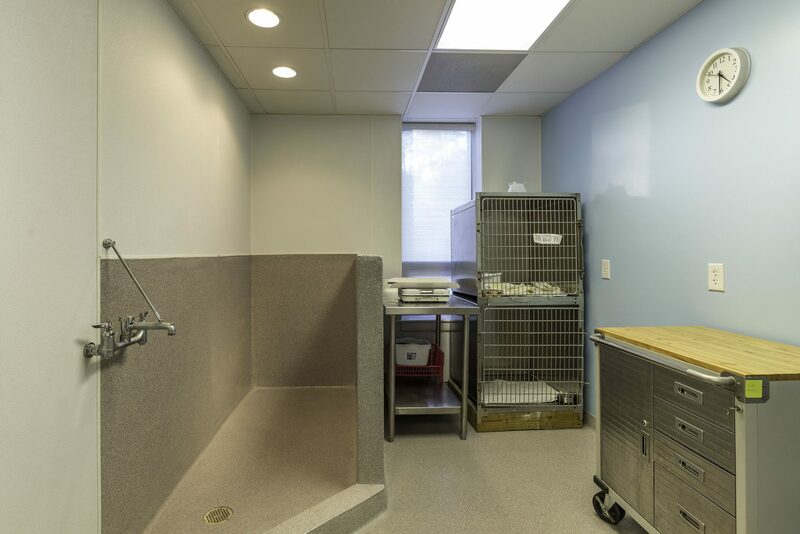 They do not have a retail shop, offer grooming or boarding, or anything else that would take away from their focus on patients. 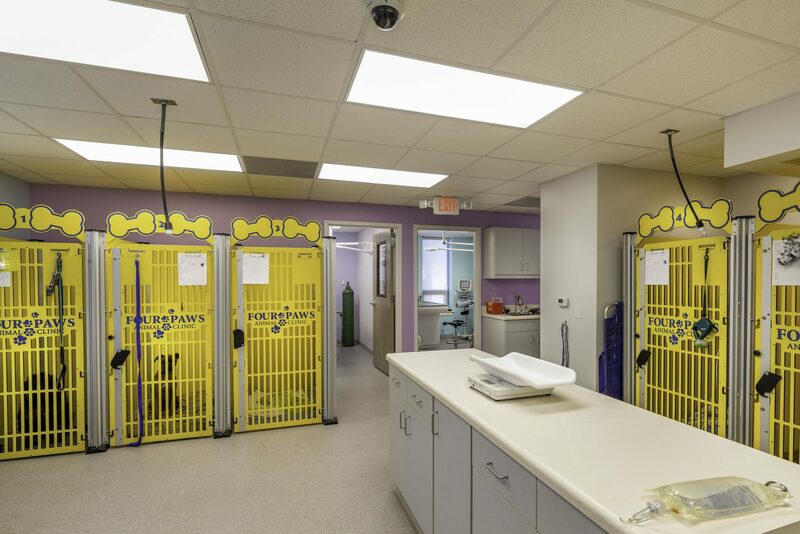 They also believed in hiring a team of employees who share in the belief that all pets are family members and deserve the best care. Their team members are highly skilled, well-trained, and work a schedule that allows them to enjoy a healthy work-life balance. 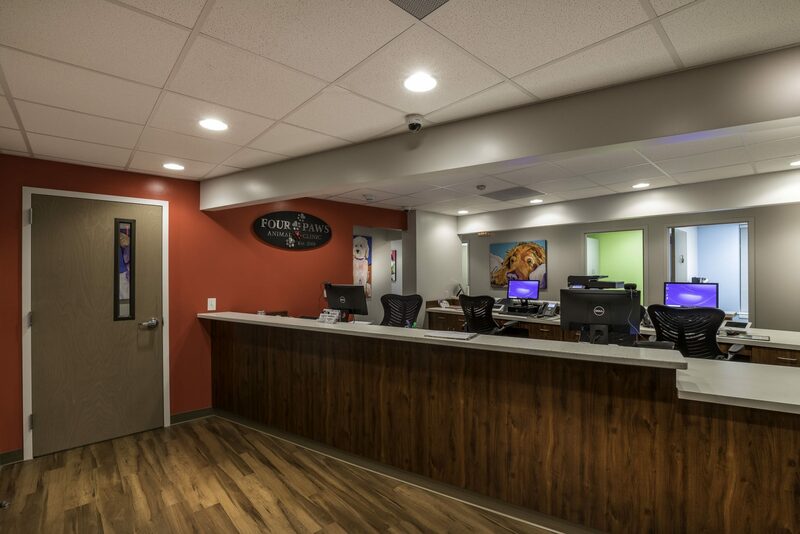 Four Paws Animal Clinic opened on May 13, 2009 at 23 Forest Lake Place. In 2011, Dr. Marcie Maloney joined Dr. Wales and Dr. Warren to better serve the growing clientele. In June 2014 Dr. Cara Gardner joined the team, and Dr. Tiffany Moore became the fifth full time doctor in September 2015. The doctors and staff happily served their clients and patients in this location until the flood in October 2015. 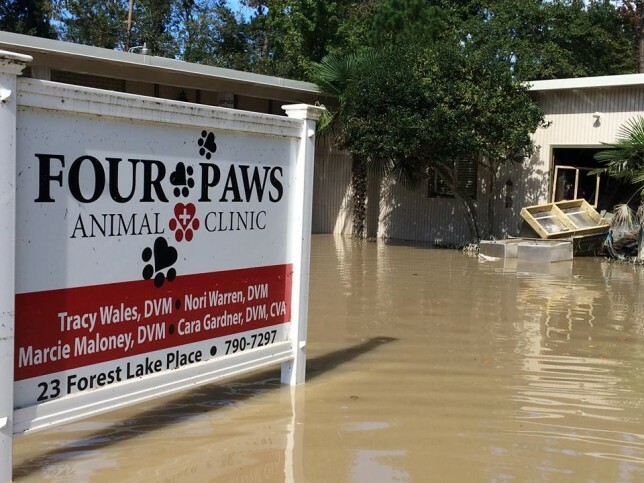 The flood in October 2015 was devastating to so many in Columbia including Four Paws Animal Clinic. 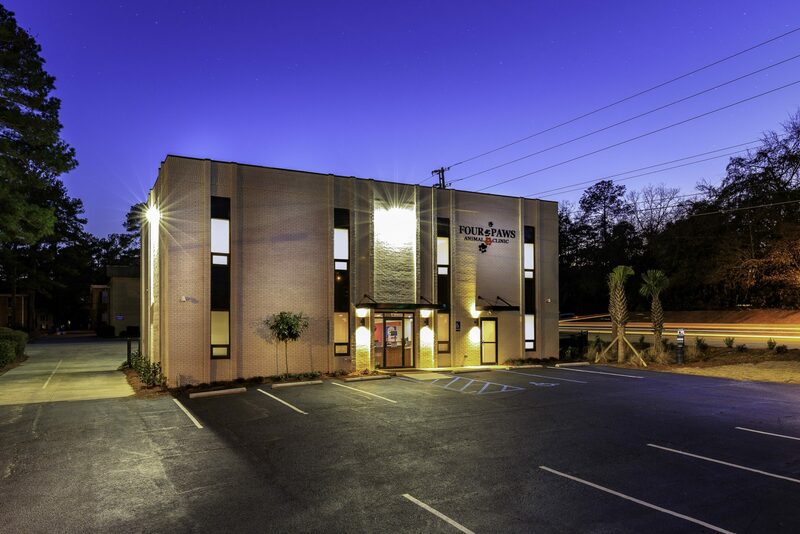 Although the clinic was a complete loss, through the incredible generosity of clients, colleagues, friends, and strangers, the clinic was able to open in a temporary location less than a month later. After two years, Four Paws opened its new, permanent location, again in Forest Acres.